A Well-Seasoned Life: Buttermilk Biscones from "Back in the Day Bakery Cookbook"
Buttermilk Biscones from "Back in the Day Bakery Cookbook"
I'm working my way through The Back in the Day Bakery Cookbook by Cheryl and Griffith Day. This cookbook was released in March 2012 and I bought it as soon as it was released. Although I liked it immediately, it took a while for me to get around to actually baking out of it. But, recently, I've taken it on as a personal challenge to bake all of the recipes that appeal to me. So far, I've baked Blueberry Muffins, Drunk Blondies, Red Velvet Cake, Lavender Shortbread, and the Buttermilk Biscones. The Back in the Day Bakery is located in Savannah, Georgia. I live near Savannah, but I've never been to the bakery. I should be ashamed of myself for that. I do plan to go one day﻿. My fear is that the place will be crowded with tourists and I won't be able to get the full effect of the place. But, when I finally make it, I'll come back and report my findings. I'll try to work up my nerve to take some photos, too. But, until that day, I'll continue to bake from the cookbook. The last thing I baked from the cookbook was these Buttermilk Biscones. 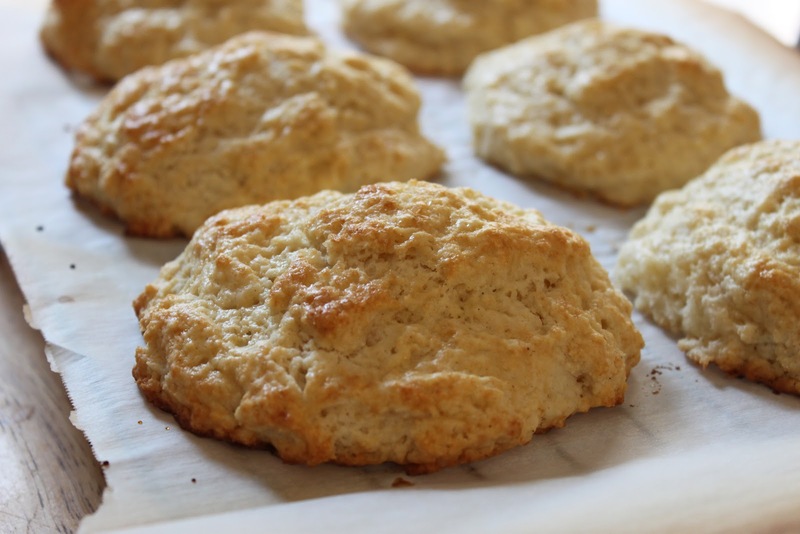 The buttermilk biscone, a hybrid of biscuit and scone, is the first recipe in the cookbook and it's the first recipe that caught my eye. I noticed that there are over a dozen recipes in this cookbook that called for cardamom as an ingredient. Not only did I not have any cardamom, but I had never tasted it. I put it on my wish list and found some at my local World Market. It has a very distinct flavor, but one that I've grown to like. There's a warm, earthiness to it. 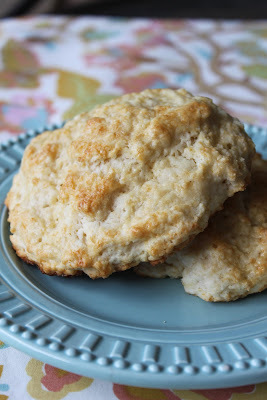 The recipe makes 10-12 large biscones. I halved the recipe and made six. They didn't last long at all. Both my husband and I loved them. I sprinkled the top with turbinado sugar (sugar in the raw) which gave it a nice crunchy sweetness. The biscone itself was mildly sweet which makes it perfect for spreading with jam or flavored butter. While the recipe calls for one cup of dried fruit (optional), I chose to make mine plain. There are also three variations given for Applewood-Smoked Bacon Biscones, Blueberry Biscones with Lemon-Zest Glaze, and Cinnamon Biscones with Vanilla Drizzle. They all sound heavenly! That's one of the favorite cookbooks in our house, too! I get many requests for the blueberry buckle and sour cream coffee cake. I can't wait to hear about your visit to the Back in the Day Bakery! Oh these lol amazing and sound so yummy! One of my FB friends just posted a pic of this cookbook, & I knew nothing about it! Know I do!!! AND I love cardamom! Another cookbook I need to buy--these look yummy. So I just ordered the cookbook--E-Bay just makes it too easy! I'm thinking of buying this book too. Your yummy Biscones has fully convinced that this book will be a good buy. Sorry...just realised that you don't have a Twitter account. Hi Zoe! Thanks for becoming a follower. I'm on Twitter at @wellseasondlife.